Classic Film and TV Café: The Friday Night Late Movie: Jimmy Wang Yu Shows His Kung Fu in "The One-Armed Boxer"
The Friday Night Late Movie: Jimmy Wang Yu Shows His Kung Fu in "The One-Armed Boxer"
Prior to 1973, Hong Kong martial arts films played only small venues in major U.S. cities with Asian communities. 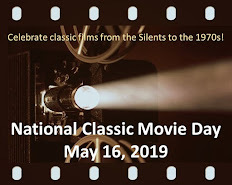 That changed with the release of Five Fingers of Death (aka King Boxer), a typical “chopsocky” flick released in the wake of the popular TV series Kung Fu. If the unexpected success of Five Fingers opened the door to the genre’s widespread appeal, then Bruce Lee’s The Big Boss (aka Fists of Fury) kicked the door down. Fueled by Lee’s skyrocketing popularity, a rash of Kung Fu films found their way to U.S. shores. One of the most memorable was The One-Armed Boxer, released here as The Chinese Professionals (perhaps a belated attempt to capitalize on the success of the Burt Lancaster Western The Professionals). Writer-director Wang Yu stars as Yu, a martial arts student who beats up some bad guys after a confrontation at a restaurant. The chief baddie, Shao, is thoroughly embarrassed by the ineptitude of his underlings. So, he hires a bunch of mercenaries to take revenge on Yu’s school. The fighters-for-hire, each an expert at a different martial arts discipline, consist of: a fanged karate master, a pair of Thai boxers, a judo expert, a taekwondo fighter, a Yoga teacher, and two Tibetan lamas. The latter two are the most fun. The Yoga teacher walks on his hands and fights with his feet. The lamas can “control their circulation” and inflate their bodies so weapons bounce off them. Anyway, after a bunch of well-choreographed fights, Yu faces the karate master, who beats him to a pulp—and, shockingly, chops off his right arm! Yu crawls to safety, though, as everyone else at the school is killed. Fortunately, a physican and his attractive daughter find Yu on the roadside and nurse him back to health. The wise old man also tells Yu about a painful procedure that will strengthen his arm so he can take revenge on the mercenaries. “But first, we will have to kill every nerve in the arm, ”says the old man. “If even one nerve remains, it won’t work.” It does, of course, and you can pretty much guess the rest of the plot. 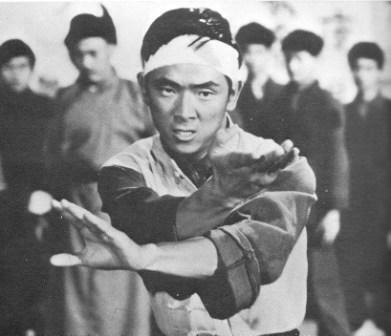 As a martial artist, Wang Yu lacked the fluid style that made Bruce Lee so much fun to watch. And, in this film anyway, he comes across as a little goofy (his blue-and-white outfit doesn’t help). But he directs with style, making excellent use of unusual settings like a brick factory and a mill. He certainly keeps the pace tight, too, devoting about 80% of the film’s running time to the fight scenes. 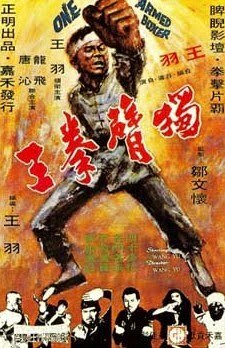 The One-Armed Boxer was produced by Golden Harvest, the same company that made Bruce Lee’s Asian movies. Wang Yu tried to establish himself as Lee’s successor, even changing his billing to Jimmy Wang Yu. Alas, the “Kung Fu Craze” was short-lived and Wang Yu lacked the charisma to sustain it. My sister and I saw The One-Armed Boxer at a local theatre in 1974 and never forgot it. I finally found it on video in the mid-1990s (though the film quality was poor). At the same time, I bought the The One-Armed Boxer 2 (aka The Master of the Flying Guillotine), which also stars Wang Yu. It’s about an elaborate martial arts tournament and also features fighters with different styles. It’s more polished and entertaining than its predecessor and, thanks to Quentino Tarantino and others, has become a well-known cult film. Maybe someday, the original One-Armed Boxer will be rediscovered. Excellent movie and superb choice for a late Friday night. Jimmy Wang Yu may not have had the charisma of Bruce Lee, the speed of Jet Li, or the charm of Jackie Chan, but he was undoubtedly a movie star. He's a delight to watch and, like in this one, he could keep his films moving with seemingly endless fight sequences. I, too, hope that ONE-ARMED BOXER will be rediscovered and, just maybe, Wang Yu will become a martial arts icon. My husband loves classic martial arts films. I am often intrigued by the unexpected plot developments that occur along the way. Great choice for a late night pick, even to those of us who can't stay up too late any more! I have seen this movie, Rick. It is a good one and an interesting plot since the hero has only one arm. The film is like a karate fantasy story which I liked. I love movies like this one and have watched many of them. Wang Yu is a good fight although as Sark pointed out not in the class of Bruce Lee or Jet Li. I enjoy any of the karate movies. A good review, Rick, and I enjoyed it. I think I will watch Enter the Dragon with Bruce Lee tonight. It's nice to see there some other Wang Fu fans out there. I saw one of his other films during its theatrical release. It was called THE DRAGON SQUAD in the U.S., but I later learned the original title was FOUR REAL FRIENDS (I can see why it was changed). 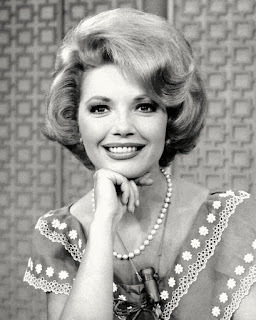 I remember enjoying it, but I've seen it since--and that's been 36 years!